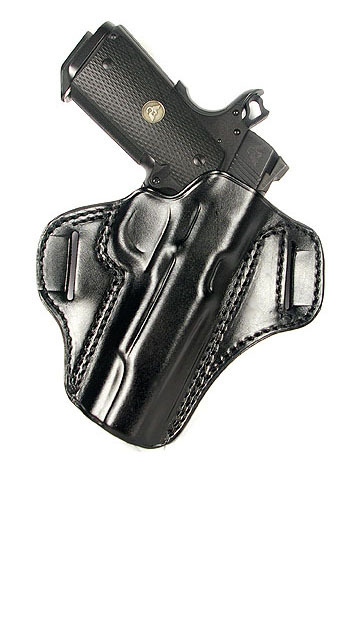 The Ritchie Leather Sig Sauer P220 Carry Belt Speed Scabbard features and open top design, outside the waistband, 1.5" belt loops, wet molded, hand boned and a 15 degree cant. Comfortable while pulling the pistol in tight to your body. Will fit railed and non-railed models. Right Hand.